It has been a long time since I tried to come up with any sort of New Year’s Resolutions, but I think that this is a convenient time for me to put to paper some of the things I’ve been procrastinating about the last year or two in order to hold myself more accountable. I’ve found myself running hot and cold on blogging over the last year. Some days I might crank out 4-5 blog posts and schedule them a month out, other times I just neglect to put any words to e-paper. My goal is to keep giving back to the community different pieces of technical content (when I Google for something and can’t find the answer, that is my cue to write up a quick post). However, while technical content is likely going to be the easiest thing to write about, I am hoping to write about other things like travel, photography, hobbies, etc. on a less frequent basis, whenever I have something that strikes me as being worth sharing. Originally I took a while to start blogging because I struggled with what the basis for this blog would be, technical or personal. I came to the conclusion that restricting myself to a single category before I even wrote anything was another way for me to procrastinate, so for the time being I’m going to continue letting the blog be an outlet for all topics. I don’t think 52 blog posts is an outrageous goal, as I had 31 posts in 2013 without making it too much of a priority. As I mentioned above, I tend to write 5-6 when I’m in the mood as I keep notes on things as they pop up, so I just need to spend an evening or two once a month on it. Similar to the previous item, I’ve found myself being much more of a consumer of community sourced answers than a supplier the last 5 years. Now that I’m pretty well versed in the Salesforce ecosystem, I have a great opportunity to contribute back to the Salesforce StackExchange site, which is relatively new. There are a lot of questions that I am more than capable of answering to help people learn, and it will help me to improve my ability to teach (at least virtually). This is something that I’ve started to focus on a bit more recently, so I’m hoping to ride that wave of success into the new year. It has been a few years now that I’ve had a desire to pick up Objective C and work on an iOS application. As a bit of an Apple fanboy, I’ve always been interested in working in that ecosystem, and even spent some time last winter going through the Big Nerd Ranch’s iOS programming guide. However, as I finished it, I found myself drawn into some other things and never capitalized on my completion of the book. As such, it wasn’t much of a surprise that I forgot a solid chunk of what I had learned after a few months. This past month I started working through the iOS Apprentice series by Matthijs Hollemans, which I’ve enjoyed quite a bit. It’s been a great way to relearn the things I had forgotten with some new examples, and I’ve found myself understanding a bit better some of the concepts that I was kind of vague on before. I’ve finished 2 of the 4 tutorials thus far, but by the time I finish I want to create something of my own that I can publish to the App Store. It should be an interesting experience to see how that works first hand, and it will be fun to say I have something out there for people to download. I have no idea what I’ll make (probably something that isn’t very complex so I can finish it), so if there is something you want to see let me know! I spent some time growing up doing different sorts of woodworking, as my dad and grandfather both have a passion for it. 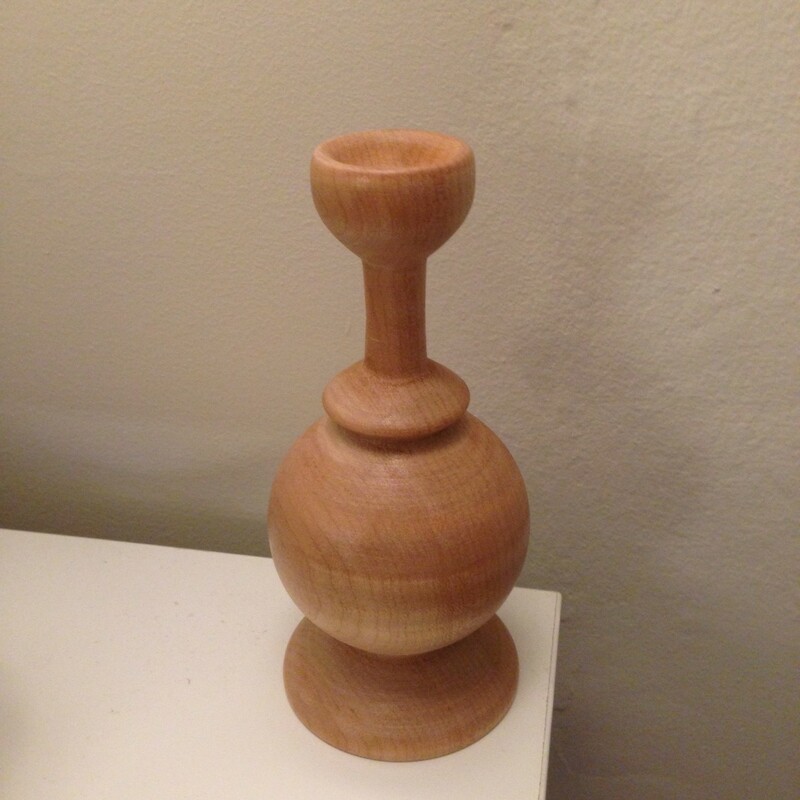 I’ve spent time whittling, scroll sawing, and working on a lathe, but the last few years I’ve gotten away from doing much. I have a few whittling projects that are unfinished that I started a few years ago, and at this point any machinery (scroll saw, lathe) are too loud to use in an apartment. I received the Flexcut Starter Carving Set to pair with my existing carving knife, and I’m hoping to use that to finish some of the projects that I stopped working on due to lack of tools. In addition, I’m hoping to try my hand at relief carving, as I have a few simple ideas that I’m hoping to try out. My goal here is to have a couple of basic relief carvings done midway through the year (definitely nothing complex, as I’ve never done it before) and at minimum finish the two carvings I’m 80% of the way done with. It is probably inevitable marrying into a family that speaks Spanish, but I am due to try and remember everything I learned in 4 years of high school Spanish. I’ve found in the past I don’t have too much of a desire to think hard after work (a convenient excuse to not want to practice), but I need to find some sort of reason to practice every day without frustrating me to the point of not wanting to learn. Maybe starting with a half hour or hour a day in the evening to try and start recalling vocabulary, or using the DuoLingo iOS app I downloaded a while ago. The end goal is to become fluent at some point, and it probably makes sense to start now. It wouldn’t be a list of resolutions without making some remark about exercising. Ever since moving to New York City (and leaving behind the Lakefront Path in Chicago), I have been extremely lazy. While we did train for and run a half marathon right before moving, the last 6 months have been pretty devoid of any running (and I’ve not been known to do any strength training). My goal this year is to do 30 minutes of some sort of exercise every day, whether it be running, lifting, stretching (maybe that is pushing it), etc. Again, this doesn’t seem all that unreasonable, particularly when I make the definition of exercise pretty vague. I’m hoping by the end of the year to be in solid running shape (at least, able to run 10+ miles – it’s hard to believe I ran a marathon 14 months ago) in order to enter 2015 ready to train for the New York Marathon. And it might even be in Vibram Fivefingers thanks to a recent reading of Born to Run. Looking back on 2013, I started laying the foundation for some of the things I’m hoping to accomplish in 2014, but I never actually put any structure around most of them. I had a pretty successful year both from a personal and professional standpoint, but I’m always looking to improve myself in both spaces. I think the items I outlined above should be attainable (none of them are stretch goals provided I prioritize my time well), and if I accomplish them all I will be much better off by the time 2015 rolls around. 1 post down, 51 to go.